RCR Tomlinson & the symptoms successful companies need to watch for. consulting and advisory experience, that successful companies sometimes overlook. When a company fails it is usually a combination of things that results in the failure. Here are the ones I see all too often. This is where the organisation takes a bold leap into a new market, or what they see as adjacent markets without fully understanding the implications as to how those markets operate. Bold leaps are not always lethal if you understand the context and the risk. Flawed strategies happen when there is an overconfidence in the organisations ability to manage the venture. It may have the structures, processes, people and technologies in place but those key enablers may not be sufficient for managing a new type of business and a new market. This often is a result of reward systems that are based on the wrong metrics. This often shows in the way individuals are rewarded based on revenue that include the value of asset sales. Instead of being rewarded for revenue generated from product or services sold. Trying to imitate another organisations best practice. different. Why not aim for better practice instead? That means you apply future thinking and what your organisation can do improve its own standing, performance and point of difference. Imitating someone else takes you in a fast race to the bottom. The majority of management teams believe they have adequate control systems in place, in most cases they have. Many of these systems are built for transactional control, not for insight. There is a big difference. Most businesses will monitor employee churn i.e. how many people have left the organisation and how many have been hired. In larger organisations it’s easy to overlook competency churn and miss the fact that one particular competency is being lost on a regular basis. This also means the impact of the competency loss is being overlooked and missed. History is littered with companies such as HIH, Borders and a long list of others that have failed and often knew what was happening, however chose a flawed course of action. There are organisations that we work with at Realising Potential that are leading the game when it comes to watching for and managing symptoms. Only last week, I worked with a high profile, innovative client where we outlined the steps that they could take to improve their project governance. 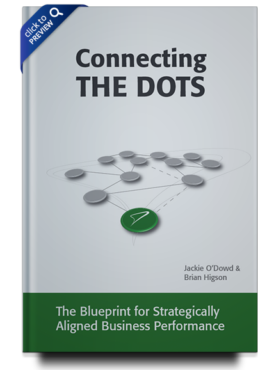 We identified the key areas of the business that must strategically work together and we developed the 3 lines of defense that works for them, which interestingly enough included risk insight. Does something stand out for you in your own business segment we can help with? Let’s connect on LinkedIn. Hidden issues. Making the unknown, known.